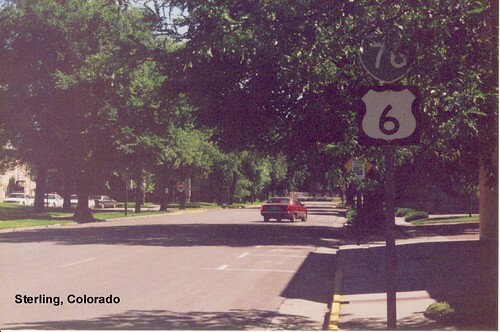 US 6 entering Colorado from Nebraska. Not much traffic through US 6 as it heads through Haxtun. Driving across the wide open spaces of eastern Colorado. A tree-lined US 6 in Sterling. US 6 parallels I-76 as it heads toward Denver. US 6 passes through an industrial area in Adams City. 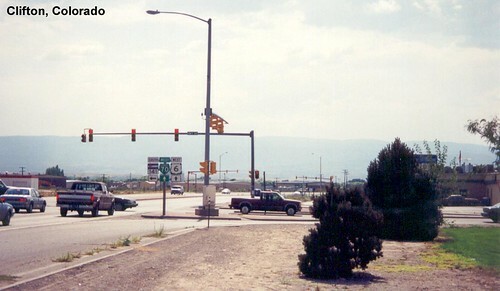 US 6 is multiplexed with US 85 as it heads toward Denver. 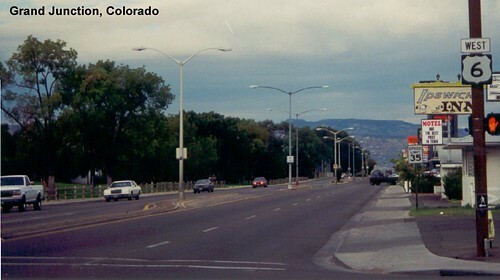 After travelling through Denver as a freeway US 6 arrives at the base of the mountains. The ride just beyond here is especially scenic. While not actually part of US 6, the ride up Mt. 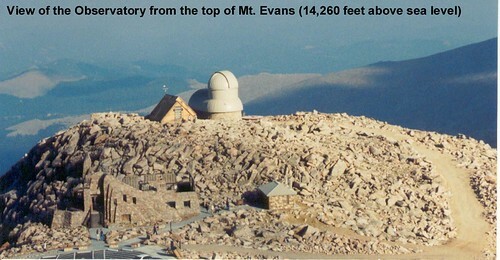 Evans that we took as part of the trip was pretty impressive. The air was mighty thin at the top of the mountain, making the short hike very tiring. US 6 is multiplexed with I-70 for awhile but splits off here to ascend the mountains to Loveland Pass. 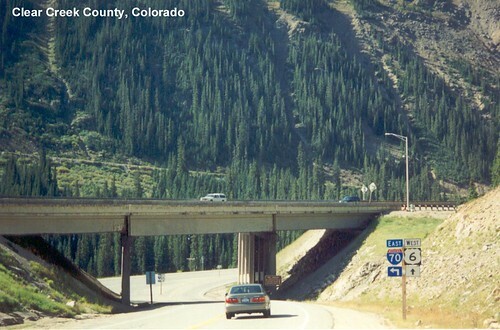 US 6 crosses the Continental Divide at Loveland Pass. Four-lane US 6 passes through the ski areas in Summit County. 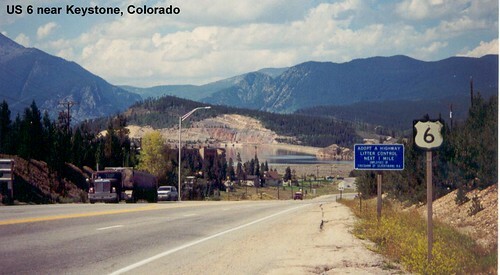 The Dillon Reservoir is visible in the distance. 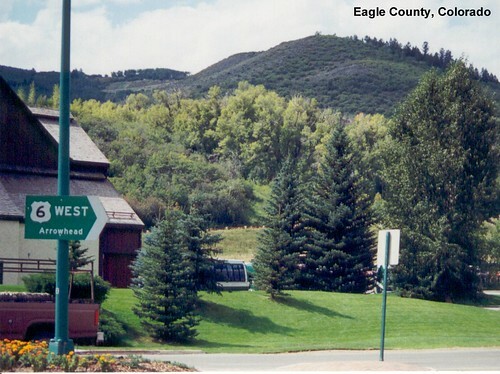 US 6 winds through more resort areas in the mountains of Colorado. As US 6 descends out of the mountains the landscape becomes much drier. On my first trip on US 6, parts of I-70 were still under construction. 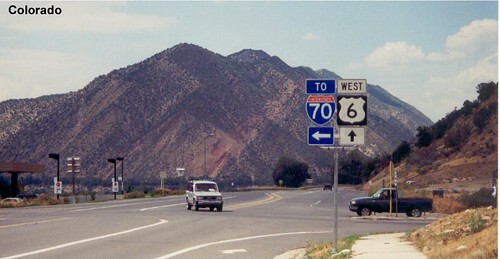 US 6 runs right along I-70 much of the time. 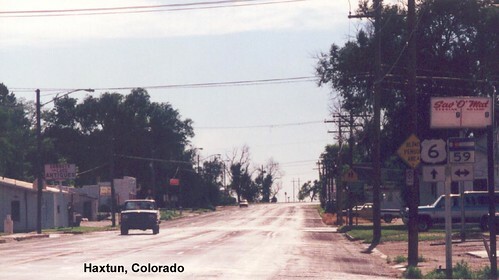 Continuing west on US 6 through Garfield County. On my first trip on US 6 it was getting dark by the time I reached this area. 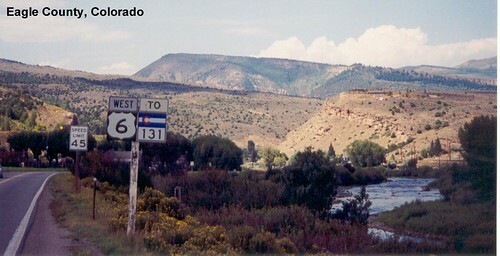 US 6 meets CO-13 in Rifle. 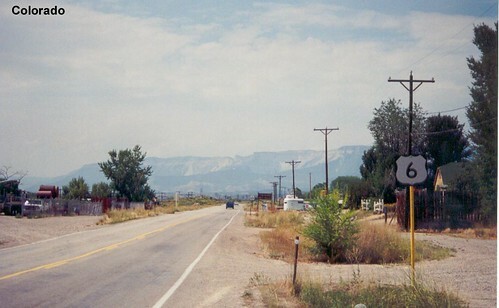 US 6 passes through Clifton on its way to Grand Junction. I stayed in Grand Junction on my first trip on US 6. 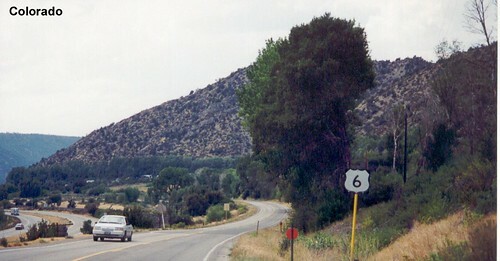 US 6 in Mesa County as it continues its trek toward Utah.